Just last week we sat down at a favorite local café, where we caught up with Kelly Black, previous DIS Student Blogger and full-year student. It was just last fall and spring that she studied in Copenhagen – and upon leaving, she had already promised herself that she would soon be back to visit. In this interview with Kelly, we talk about the past and the present – her impression of her experience looking one year back, how she stayed in touch with Danish friends, and where her interests lie today with graduation on the horizon and a study abroad experience in her toolbox. DIS: You were here for the Fall 2013 and Spring 2014 semesters. 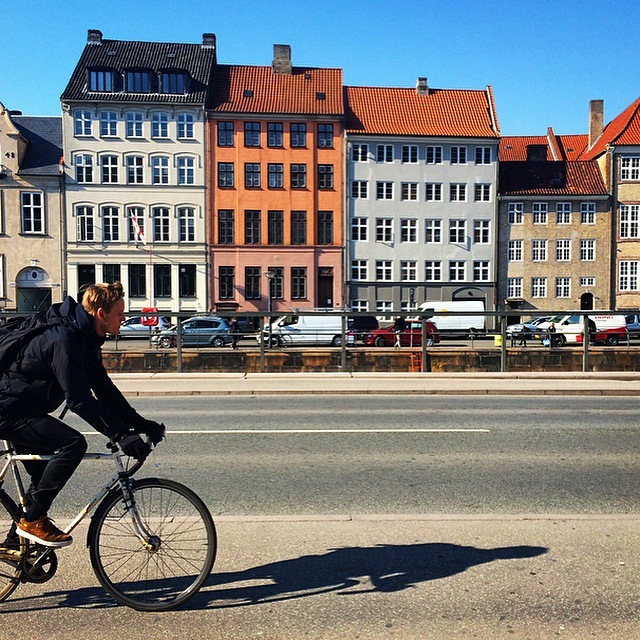 At whole, what was it like to spend a year living and learning in Copenhagen? Kelly Black: Something I commonly find myself saying about my full year abroad is that the first semester I learned and the second semester I applied. While I had an interest in traveling to other parts of Europe, I wanted to learn, indulge, and really become a part of Danish culture. So just like most semester students, we spent our time learning Danish social norms, finding our favorite cafés, getting confident on a bike, and really digging for the hidden gems in Copenhagen. However, I was fortunate enough to take all the things I learned to the next level. I spent my second and final semester in Copenhagen applying Danish social norms, spending time in those cafés, passing locals in the biking lane, and actually finding and experiencing those hidden gems. Denmark was no longer a foreign place to me, it became my home. I felt I was no longer just ‘studying abroad,’ I was living abroad; and that made all the difference. DIS: When you share your study abroad experience with friends, what do you find are three of the highlights that you mostly bring up? KB: The three highlights I always bring up are biking, my kollegium, and how I learned to cook.Biking was such a highlight for me because growing up it was always considered to be a physical activity rather than a mode of transportation. I’m also a firm believer that the confidence I got from biking is what motivated me to finally get my drivers license! My kollegium was a highlight of course because one of my biggest reasons for studying abroad in Copenhagen was to make Danish friends. I really met some wonderful people on my floor. Finally, the cooking. 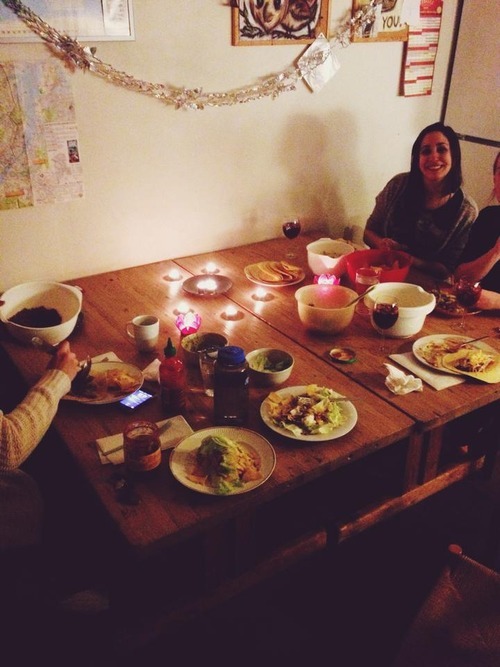 Never have I seen so many 20-something year olds know how to cook such gourmet meals. Before studying abroad my cooking ability was rather limited, but with a lot of time spent with the Danes in the kitchen, I learned that I’m not so bad at it! Cooking nice meals (and taking pictures of them) has become a top hobby of mine and is something I brought home with me when I returned to New York. DIS: You were in the Psychology program last year, first enrolled in Cross-Cultural Psychology, and then Positive Psychology. Tell us about these programs – your study tours, your favorite field studies, your faculty. KB: Given the fact that Denmark is growing in diversity and given the fact that Denmark has been ranked the happiest country in the world several years in a row, it made studying Cross-Cultural Psychology and Positive Psychology in Copenhagen a wonderful opportunity. One of my favorite things about DIS is how we apply what we learn in class to real life. 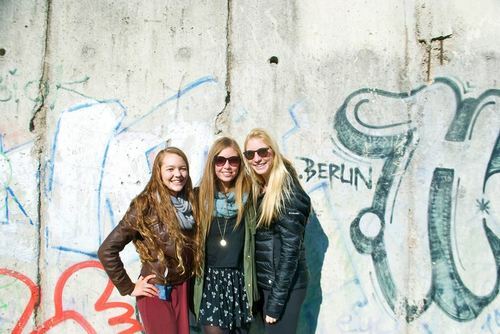 My favorite experience was eating at a ‘blind restaurant’ in Berlin on the Cross Cultural Psychology study tour. We spent two hours eating in complete darkness and our waiters were blind as well. This experience really put emphasis on the fact that while there are cultural differences racially, ethnically, religiously, etc., there is also a cultural difference in how we physically see and experience in the world. It really opened my eyes to the world we live in. DIS: During this visit back to Copenhagen, you have had just a few days, and as we hear it, it’s been jam-packed! You have seen your visiting family and the Danes from your Kollegium. What is it like to see these friends, and what was it like to meet them when you were a student? KB: I have been fortunate enough to have previous Danish floormates and my visiting family visit me in New York City this past summer. So seeing them again in Copenhagen really made these relationships ‘real.’ The truth is, there is an unfortunate reality with studying abroad and that is: everything is temporary. So when I was studying abroad, I really hated that mentality. Therefore, I made an extra effort to keep in touch with my Danish friends/visiting family. The effort I made was not just for me, but it was to prove that having and keeping friends from all over the world is possible if you make the time for it. Although my experience as a student with these two separate groups were very different, I was able to find a common ground. That common ground was light humor. Humor is essential to building good relationships with Danes and something I became quite comfortable with was making fun of myself to both groups. I found that making light jokes about myself not only caused laughter but it created comfort within the conversation. Some Danes are individuals of a few words, so the feeling of comfort is a much-appreciated feeling. DIS: Since you had a short time in Copenhagen, tell us what you absolutely had to go back and visit during your time here. Good eats? Favorite parks? Sights? KB: While I did make an effort to go to new restaurants and other parts of the city, there were a few places that I had to revisit. The first thing I did upon arrival was rent a bike. This allowed me to get a chocolate chip scone from Lagkagehuset in the center of the city and then bike over to Nørrebro for a bowl of porridge from Grød with ease. The homemade ginger ale from Kalaset Cafe was also something I had to have again. As for parks and the outdoors, I made sure to spend some time in Assistens Kirkegård, a beautiful cemetery in Nørrebro. DIS: How was it to hop on a bike again? KB: Getting back on a bike again in Copenhagen was really something special. 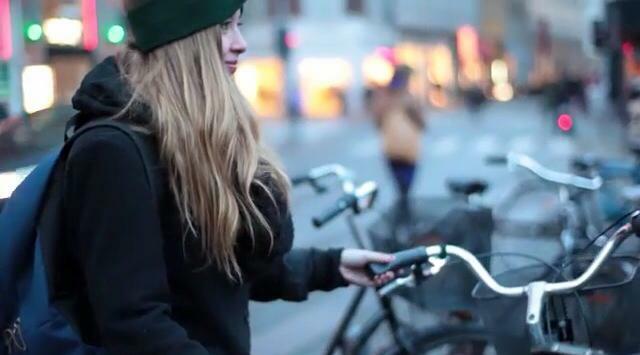 To me, biking is the tie between the Danes and the city so when I am on the bike sharing a lane with several locals, I not only feel connected to Danish culture, but I feel a part of it. DIS: With your graduation coming up this spring, do you have plans? KB: Graduating from college is a funny thing. Up until this point, my life was essentially all planned out. Elementary school, middle school, high school, and then college. However, after college, we are faced with the scariest yet best feeling in the world. It’s the decisions we make after college that transform yet mold the path of our future. So while I am exploring my options in New York, I am very passionate about applying for the DIS internship program and moving back to Copenhagen. DIS: You have mentioned that you are interested in Human Resources in the Danish context. Can you tell us more about this? KB: After spending some time interning for a Danish advertising agency when I was studying in Copenhagen, I became very interested in the role that Human Resources plays in Danish organizations in comparison to the role HR plays back in the United States. I am specifically interested in Organizational Psychology and how Danes increase motivation and productivity in the workplace. I am particularly interested in motivation in the workplace in Denmark because of their ranking being the happiest country in the world for several years. I believe this comparison could lead to many interesting findings that perhaps some of the biggest corporations in the world can learn from. We tend to agree, Willy :)!